In yesterday’s ‘Courier’, having been challenged about the failure of the SNP to deliver an alternative to PPP capital funding that would allow for further schools improvements in Dundee, the SNP Education Convener, Cllr Liz Fordyce, made the extraordinary claim that the new primary schools building brought forward by the previous Labour/Liberal Democrat council administration after 2007 was possible because of “flexibility” in council capital budgets permitted by the SNP government. Unfortunately for the SNP administration, this claim has absolutely no basis in fact. Because of the failure of Alex Salmond’s government to bring forward a viable alternative to PPP funding, schools building new-starts have greatly slowed across Scotland since 2007 as the only avenue currently open to local authorities is the prudential funding model (plus capital receipts if available). The prudential funding model, the replacement for the former Section 94 capital borrowing consents, was brought in by the previous Labour and Liberal Democrat Scottish Executive and has the square root of nothing to do with the SNP. Pressure is building upon the SNP administration to explain when the alternative to PPP funding is going to become available. Cllr Fordyce, within days of becoming Education Convener said she would be meeting the schools minister to press Dundee’s case for more funding. The council leader thereafter conceded that there would be a further cross-party meeting of council group leaders with Ministers on the issue. Since then, we have seen total silence on the issue from the SNP. Perhaps Mrs Fordyce would like to explain the success or otherwise of her meeting with Ministers and give us an indication as to when the cross-party meeting with Ministers will take place? This is too important an issue for Dundee for the SNP to be dragging their heels. 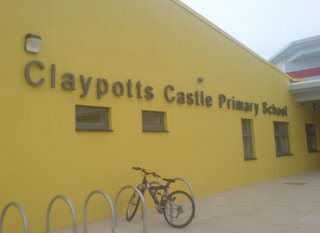 If we are to continue the schools improvements programme in Dundee and build more high quality schools fit for 21st century teaching (like Claypotts Castle Primary School – right), the SNP government and the administration in Dundee has to get the act together – the so-called “Scottish Futures Trust” has to become real. The SNP has thus far replaced PPP with nothing and this is holding up making further improvements to the school estate in Dundee. Easily the most cringe-worthy event of last week was the utterly disastrous appearance of SNP MSP Christina McKelvie on Newsnight Scotland on Wednesday night, in which she fell at the first hurdle in trying to defend the SNP government’s Scottish Futures Non-Trust, the smoke and mirrors the SNP claims will replace PPP capital funding and provide Scotland with hundreds of new schools in the next few years. “Car crash of the week was the toe-curling appearance by nationalist MSP Christina McKelvie on Newsnight Scotland on Wednesday. “Never has a big, gallus lassie from Glasgow looked so hopelessly out of her depth as she blustered and flustered and parroted the same gibberish to every question that was put to her. The substantive point is not that an unknown SNP MSP looked hopeless on Newsnight. It is that, despite populist moves in its first year, the SNP government is built on sand, and nowhere is this most apparent than over capital projects funding. “We welcome the apparent change of heart in funding model from the SNP, and the acceptance that the private sector will remain involved in developing infrastructure and providing services throughout the whole lifetime of projects. “STUC is disappointed with the consultation document which lacks detail in a number of areas. “It is not prudent to pursue the SFT as currently proposed. “STUC is not convinced of the arguments for that a ‘super-sized’ private ‘not for profit’ company would be able to maintain a genuine public interest ethos. 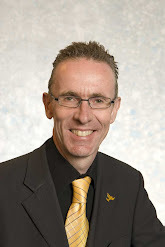 “At its conference this weekend, the SNP was delighted to highlight one Labour-run council, East Renfrewshire, offering to pilot the plan, but neglected to say that Eastwood’s financiers seem to think they can do better than St Andrew’s House. “The Institute of Public Finance Accountants could merely point out “significant gaps” and that “further, fundamental questions remain to be asked or addressed”. “Audit Scotland, the public sector watchdog, observed the SFT “faces competing challenges and constraints and these create a number of risks”. The plan is “at a very early stage and there is much further work to be done”, including the question of public accountability. “Other parts of public Scotland are holding off new projects while uncertainty reigns over the administration’s funding plans. “Ministers could not have shown more embarrassment over a set of proposals if they tried. “The problem for the Scottish Government in this case is that it has made such a blatant attempt at hiding these plans that it has actually started to generate interest in them. “What the results of the consultation did show was how the SNP fudge has enraged almost everyone. But, more importantly, it has led to claims of delays in the school and hospital building programme started by the last Scottish Executive. “Ministers are slowly starting to find out the difference between the superficial and the easy – the populist issues – and the deeper, detailed and complicated policies which make a long term difference – the weighty issues.